The most recent California [MANMADE] wildfire seasons are by far the worst in state history. The hard evidence is clear that these apocalyptic firestorms were the product of highly calculated false flag environmental terrorism, which was also state-sponsored. And, yet, the worst consequences of these brazen DEW attacks and numerous acts of pyro-terrorism carried out by the New World Order globalist cabal have NOT been felt. Just what are those consequences? 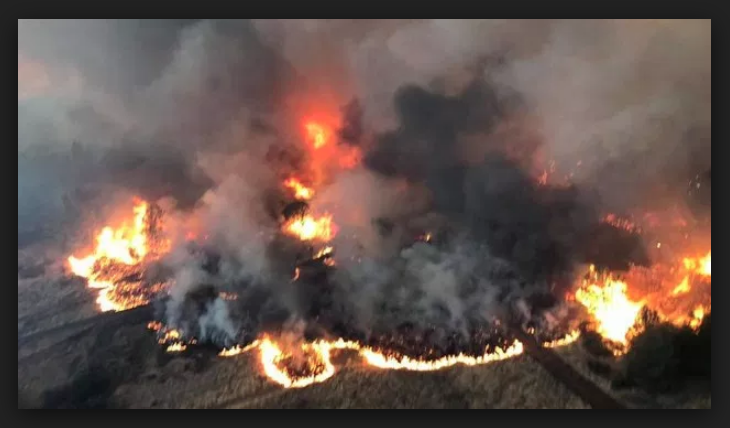 Because the vast majority of the people of California have accepted the patently false official narrative for what are actually arson fires, they have given their implicit consent for them to continue unabated. 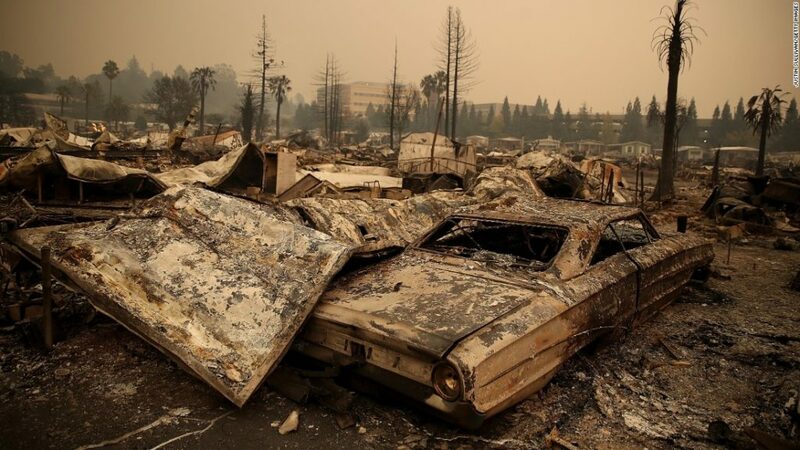 Henceforth, not only will California suffer great consequences in the wake of these fire calamities, the rest of the country will likewise be terrorized during their respective wildfire seasons. This rapidly deteriorating state of affairs (just look at the last 6 wildfire seasons in CA) is both outrageous to the extreme and completely unacceptable. And, yet, the perpetrators are getting away with these crimes against humanity—scot-free. From this point forward, any community in America can be burned to the ground and very few will question the cause. The U.S. citizenry is already the most terrorized and traumatized on Earth. With these geoengineered fire cataclysms being carried out more regularly, things will only get worse—MUCH WORSE! And across the nation wherever wildfires occur with any regularity. While many folks are waking up to the grim reality that globalist forces are waging weather war and pyro-terrorism against the USA, they represent a very small number of patriots. Hence, the only way out of this ever-intensifying predicament is for a critical mass of citizens to take the appropriate actions against the politicians who permit the wholesale destruction of their states and counties, cities and towns, villages and hamlets. There is a magic formula to achieving success in this weighty and necessary endeavor. more than they fear their Deep State masters. It’s true: only when the perps really fear We the People more than they fear their Deep State handlers will they refuse to commit these atrocities against their fellow citizens. However, for the righteous among US to prevail in this Republic-saving enterprise, they must first — both individually and collectively — invoke the Highest Power. Given the pervasive and profound power of the dark side, only God Almighty can provide the needed grace. Which is precisely why this solemn task has fallen to the God-fearing Right. Patriots and Nationalists, Conservatives and Christians, Tea Partiers and Libertarians, Independents and Republicans, Veterans and Militiamen, Gun Owners and Hunters, etc. tend to be religious and full of the faith required to overcome the globalist juggernaut. In this way these groups must all coalesce around the very same mission if there is to be any chance of success. This sacred mission is not only a mission to save the American Republic, it’s also a matter of survival. The survival of our families and friends, homes and businesses, communities and neighborhoods now greatly depend on the righteous stepping up to the plate. Who among US does not face existential threats at this very moment from above? Yes, Star Wars is now a stark reality, but We the People are the targets. … only they are much more devastating and causing an epidemic of PTSD. The cataclysmic damage to so many regions has been premeditated to shock and awe the affected victims in order to “Paralyze Instead of Galvanize“. Compared to the false flag terrorist attacks of September 11, 2001, the CA fires are much more serious in their after affects. Large swaths of the state are being decimated and rendered uninhabitable for long stretches of time. 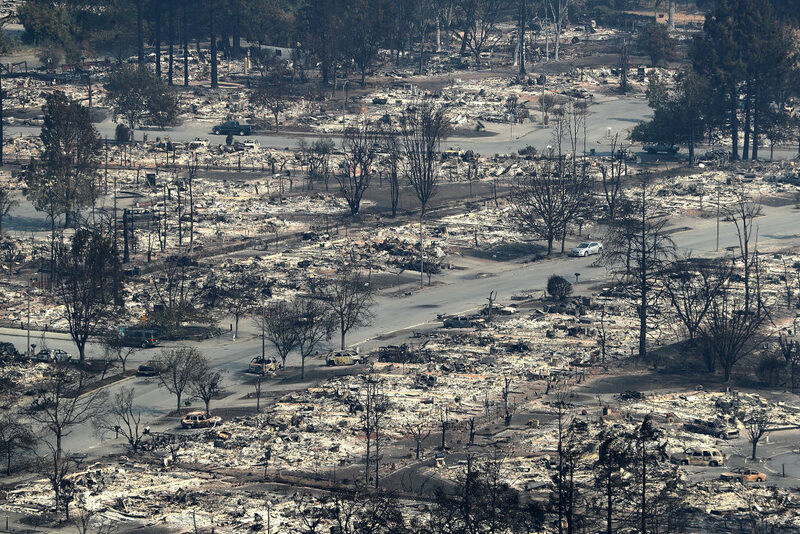 Not only is the available real estate quickly shrinking, many are afraid to rebuild in the same areas because of the regularity and increasing intensity of these geoengineered wildfire seasons. The upshot of the current plight of the residents of California is well explained here: NWO Globalists Can’t Believe They Got Away With So Much Mass Murder and Destruction. Therefore, it’s imperative that the American people put the perps on notice…in a decisive and unequivocal manner. Anything short of “torches and pitchforks” will no longer cut it. This is war, and we are being systematically attacked in our own homes and vehicles, businesses and offices. KEY POINT: It’s no wonder that these audacious attacks on California occurred while globalist Governor Jerry Brown has been in office since January of 2011. Brown’s conduct as an inveterate Global Warmer clearly exposes him as Public Enemy #1. It’s as though he was programmed to scream Global Warming every time a new disaster takes place as he routinely covers up the true causes. 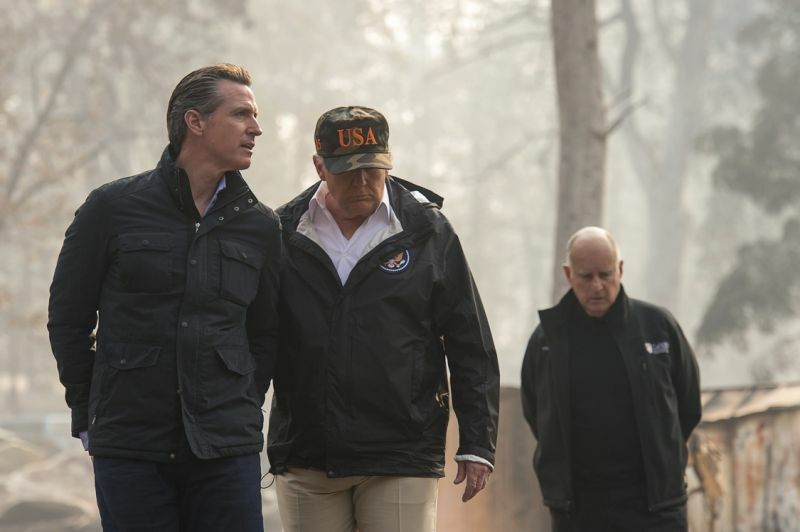 His highly tarnished record of response to each and every California catastrophe reveals his treacherous MO, and that he’s a thoroughly untrustworthy agent of Deep State. Just like in the months and years following the false flag 9/11 attacks, many Alt Media websites were reluctant to acknowledge the truth, much less post the facts. For years so many sites supported the official narrative in the face of so much contradicting evidence. Quite inexplicably, we are facing the exact same situation today. Many alternative sites demand: “Show us the proof?” The Internet is full of hard evidence in the form of numerous photographs and videos which conclusively prove these transparent crimes. And yet many refuse to look at them or publish them. SOTN knows this because so few sites have posted our CA fire content. This website has in fact posted more about the California conflagrations than any other site on the net, bar none. So we know how much traction and re-posting has taken place—VERY LITTLE— especially given the enormity and gravity of the California crime scene. Therefore, we highly recommend that the reader go around the Alt Media in this particular regard, except those who are loyal to this urgent cause. Please, everyone concerned, use the social media to disseminate these exceedingly important posts while we still can. As for those in deep denial, don’t waste your time with them; for time is of the essence. We the People need to act — and PRAY — with all deliberate speed and sincerity. Truly, we all need to pray like there’s no tomorrow… … … because if we don’t, there may not be a tomorrow. At the end of the day one thing must happen. 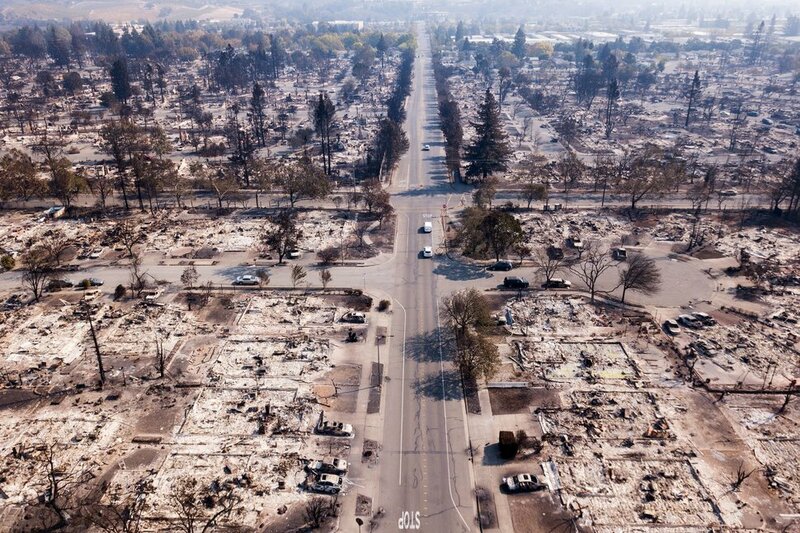 Anything short of holding those accountable for these California deaths and widespread destruction will not produce the mandatory outcome(s). That can only happen when the raw truth about these bold DEW attacks and pyro-terrorism is widely known. Hence, the single best thing that we all can do is to educate and inform, edify and empower our fellow citizens. For example, let them know about OPERATION TORCH CALIFORNIA: A Special Report on the Firestorm Terror Operation. Also, send them the hard evidence as follows. Flood the inboxes of every CA elected representatives and government official with so many incriminating photos and videos they can no longer avoid the obvious. These stealth DEW attacks and pyro-terrorist operations will only escalate. The more the perps get away with these crime sprees, the more intense each subsequent wildfire will become. Whereas California has been their primary target of late, the globalists will carry out these terrorist attacks wherever and whenever they feel they can get away with them. As long as the perfidious mainstream media fails to report any truth whatsoever, the cover-ups will continue leaving the populace totally unaware of the dangers that lurk overhead. A highly effective action plan might look like this: File a class action suit against Governor Jerry Brown for putting the people of California in great jeopardy. He also needs to be made the defendant in a federal criminal proceeding. By singling out a career government criminal like Brown, he can be made a glaring example of by We the People. After his arrest, conviction and incarceration, then every other Deep State operative can be put on notice. They are all in trouble with the people. In this way the politicians who are responsible for our horrible deaths and destruction can be held directly responsible…and punished accordingly. In light of this exposé, there’s something very wrong with this picture. They all know!